is Hayward our secret weapon in the playoffs? Re: is Hayward our secret weapon in the playoffs? I don't think Hayward and his max contract is a secret. Is he an x-factor. For sure. A deadly weapon, yes, a secret, no. I'm gonna wait till he proves it in the post season before I consider him a weapon. It wouldn't shock me if he goes back to 3-7 for 9 points every other day in the playoffs. I hope not, but I'm not quite ready to believe just yet. On a side note, this team has destroyed my ability to feel optimism. "Feeling optimism when your team should have destroyed it" is what being a fan is all about! Hayward is our Manu Ginobili. White guy off the bench with a bunch of crazy shots. Hayward definitely reminds me of Manu. I think it’s hard to call a former all star and max player a secret weapon. Not sure he really slips through the cracks. Prime Manu ('04-'11) was not inefficient at all, shooting 45/37/84. He played approximately 29MPG over that spell, and averaged 17/4/4. Hayward is a much better rebounder, as he's considerably larger. i would be surprised if he regresses, and i fully expect him to be a serious weapon in the playoffs. i don’t think it’s appropriate to compare his stats on this team vs. his latter utah days for many of the same reasons others have already stated. what is more relevant is his style of play, which we never got to experience in celtic green due to his injury. his current attacking style and mentality is what leads me to believe that he is fully back to form. he’s no longer timid going to the basket and he’s demanding the ball on offense, regardless if he’s getting minutes with the second team or the starters. when brad goes into playoff mode with minutes, i fully expect gordon to be the leading beneficiary and see increased minutes of playing time. Yes, his last year in Utah his USG% was 27.6. This year it's much lower (19.3, or 20.2 over the his last 8 games). So his total stats won't compare to his Utah stats at the same rate. To answer the OP's question: in a word, No. The people ignoring Hayward's entire body of work this season are likely going to be sorely disappointed by his play in the playoffs. 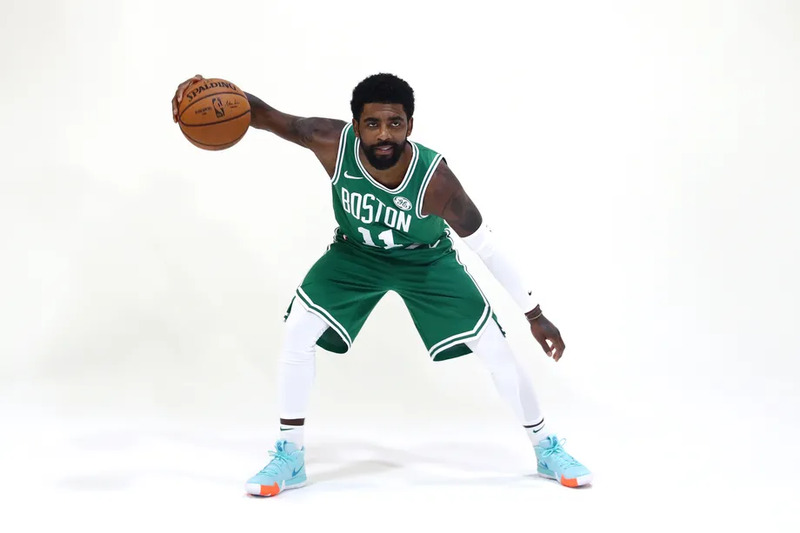 The most likely scenario is that he cements his place on the Jeff Green all-stars where he shows up when he wants to, convinces a lot of people that his best game is his norm, and is plagued thereafter by inconsistency and mental toughness issues. I'm not saying it's impossible for Hayward to have a couple great games (or even a great series), but he's going to have just as many games where he scores 0,4, or 7 points and makes people question why he's the fifth highest paid player in the NBA. Realistically, there's literally no chance based on what I've seen that he plays 4 series in a row without injury or retreating into his shell. I'm not saying it's impossible for Hayward to have a couple great games (or even a great series), but he's going to have just as many games where he scores 0,4, or 7 points and makes people question why he's the fifth highest paid player in the NBA. Do you get some weird kick out of ignoring people when they correct you for refusing to look at Hayward's continued improvement? All you do is say "he'll go back to sucking again!" but in the 8 games since he came back from concussion that hasn't looked like being the case at all. Averaging 16/6/3 over that period. I'm pretty sure you'll respond to me saying "just look at the stretch of games before then" and continue to ignore the fact that Hayward had sprained his ankle during that stretch, or that Brad was giving him stupidly inconsistent playing time. But that's just par for the course at this stage. Not sure why you want him to fail so dearly, especially when it's proven that this season his success = Celtic success. The sweet "I told you so" that you've been looking forward to plastering this forum with come playoff time is not coming through that door. TP! I have a tough time understanding how anyone can't see a major difference in Gordon's aggressiveness, athleticism, and confidence over the past few weeks. I'm perfectly fine throwing away his struggles that took place for most of the season. He's been making things happen on his own terms, as opposed to relying on teammates and perimeter shooting. Maybe I'm sucker, but I'm expecting Gordon to carry the momentum right into the playoffs. The effect that Gordon Hayward has on the game goes beyond the points per game. Jeff Green didn't have the ability to facilitate like Hayward does. Of course we all still want way more from him. Right now, he is functioning as an Evan Turner who can shoot. I think he is a much better player than that. We need the Hayward that we saw in the 2 games prior to the last. We need a Hayward that looks to be the boss, that has confidence, that is aggressive. Anything else and it's an early exit.